Nick Hamilton participated in an expedition to explore a new world/planet - Lunar Lakes -, where he met with Nym. 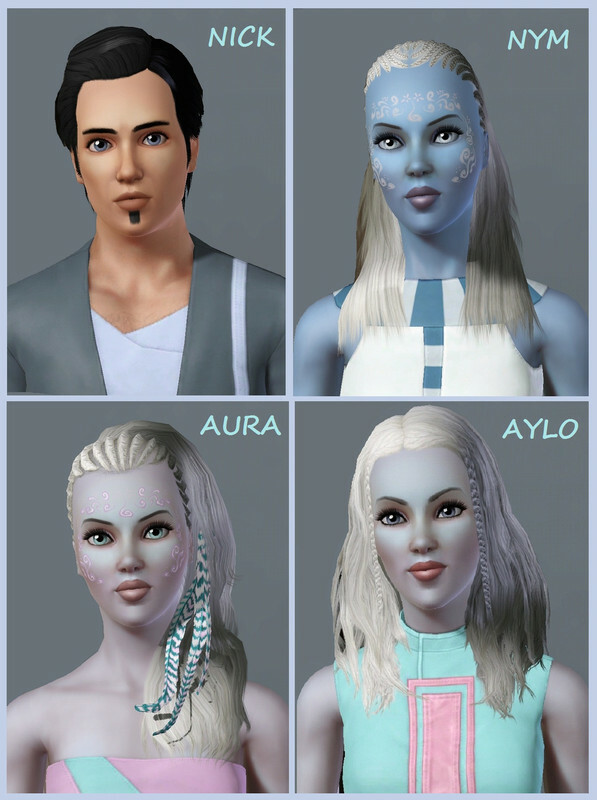 They fall in love with each other, but after a year the expedition returned to the Earth (Sunset Valley or any other world), and Nick haven't known that Nym is pregnant. Nym tried to give everything for her twin-daughters. Aura and Aylo loved to listen the stories Nym told her about her father's world (which she'd heard from Nick). They all hope, that Nick will return sometimes. Nick returned to the Earth after the expedition, but didn't find his own, he missed their common life with Nym. He moved all rocks to going back, and his spaceship is close to landing on Lunar Lakes. He's so excited to see Nym again, but worrying about her feelings, because she doesn't know about his arrive. But I think their story will have a happy end - or I'd like to say happy start, because their real story will start from here. Bejegyezte: imoger dátum: 3/07/2012 11:43:00 de.